PARIS - A French court on Thursday (Nov 8) ruled that celebrity US artist Jeff Koons copied an idea from an advertisement used by a French clothing chain, fining him along with the museum which exhibited the contested work. 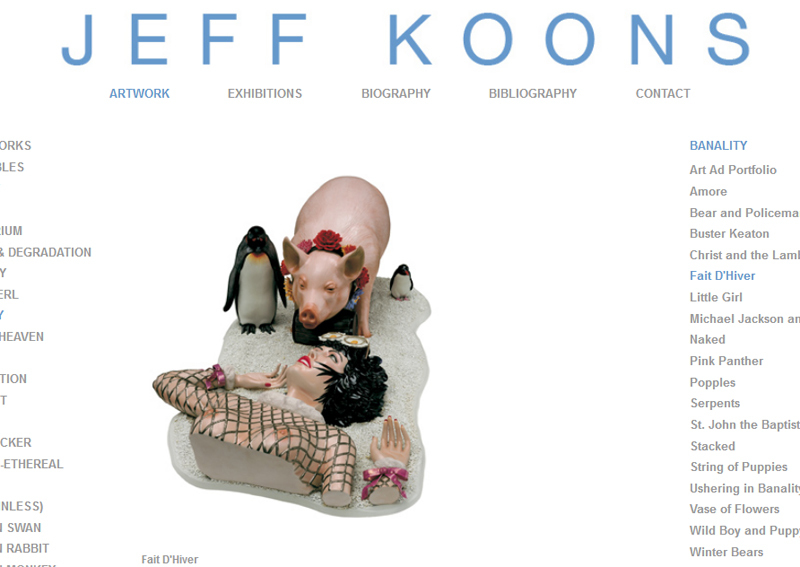 Franck Davidovici, a French advertising executive, had sued Koons for plagiarism over Koons' "Fait d'Hiver" from 1988, which shows a pig standing over a woman lying on her back, her arms sprawled behind her head. It bore a striking resemblance to a campaign created by Davidovici for the Naf Naf chain in the mid-1980s, down to the woman's facial expression and hairstyle and the cask hanging from the pig's neck. And the Naf Naf campaign was also called Fait d'Hiver, a play on words suggesting "Winter News in Brief". Davidovici sued Koons after the work was shown at the Pompidou museum in Paris in 2014. There are four copies of "Fait d'Hiver", and one was sold for around US$4.7 million (S$6.4 million) at Christie's auction house in New York. The court ordered Koons, his business, and the Pompidou museum to pay Davidovici a total of €135,000 (S$200,000) in compensation. But the court did not order the sculpture's seizure, as demanded by the plaintiff. It was not the first time Koons has been found guilty of such accusations. In March 2017, a Paris court ruled he had copied a French photographer's picture as the basis for his "Naked" sculpture, also part of the artist's Banality series which contained "Fait d'Hiver".